Yes, I do realize that we’re now officially deep into winter and ‘pumpkin season’ has technically passed along with my hopes & dreams of warm sunny weather. While fall is most definitely over, pumpkin season lives on in my heart and my kitchen whenever I bake up a batch of these delicious treats. 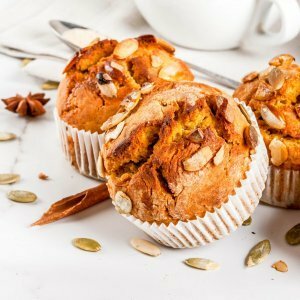 These gluten-free, dairy-free, paleo & keto-friendly muffins are my favourite way to reminisce about fall. They’re dense, satisfying and evoke that lovely fall feeling that we’re all missing right about now. 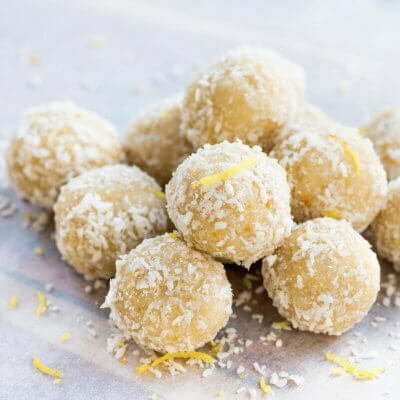 I’ve made this recipe with both monk fruit sweetener (keeping it keto) and maple syrup and they’re delicious either way. While my annual 20-day January keto reset has passed I still prefer to keep the sugar out of my diet whenever possible for the sake of my skin and my mood. I struggled with anxiety for years before I finally addressed the blood sugar dysregulation that was at the root cause of my symptoms. Now, when a new patient enters my office with a chief concern of anxiety one of the first things we look at is their breakfast, along with their overall carbohydrate intake. 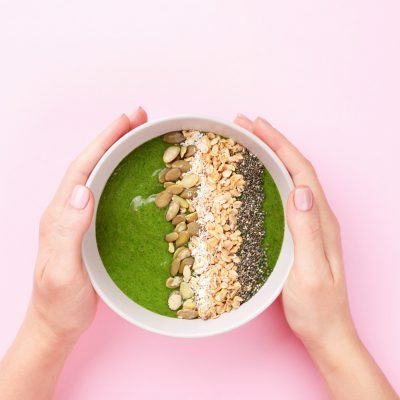 When insulin levels spike after a sugary breakfast it causes changes in stress hormone levels than can lead to feelings of anxiety and instability. These muffins contain a hearty dose of healthy fats from the almond flour and a ton of cinnamon to keep blood sugar levels balanced throughout the day. Studies show that cinnamon can significantly decrease glucose and HbA1C levels; which are both markers associated with altered blood sugar balance and insulin signalling. If you suffer from daily anxiety try replacing your morning bagel with one of these health fat-filled muffins and see how much better you can feel throughout your morning. 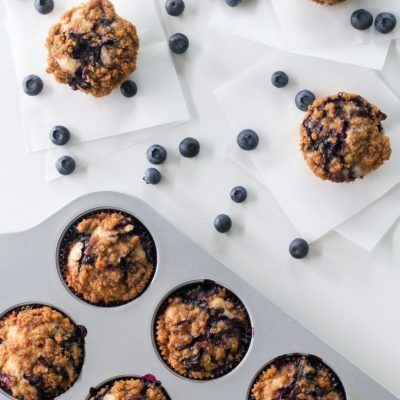 My husband and I have been breaking our intermittent fasts with one of these muffins re-heated and topped with a pat of coconut oil for a little extra dose of healthy fats. Pumpkin season lives on in my heart and my kitchen. These pumpkin muffins are dense, moist and delicious. We've been eating them for breakfast with a little pat of coconut oil. Preheat your oven to 350F. In a large bowl mix together the coconut flour, baking soda, spices, monk fruit sweetener, salt & almond flour. In a separate bowl mix the egg, vanilla, pumpkin puree and maple syrup (if using instead of monk fruit) until well incorporated. Fold the wet ingredients along with the pumpkin seeds and chocolate chips into your dry ingredients and mix gently until combined. Fill a well oiled muffin pan with batter and sprinkle a touch of cinnamon and a few extra pumpkin seeds on top. Bake for 25 minutes until slightly golden on top and cooked through. Let set for at least 15 minutes before serving. These muffins keep best sealed on the counter for 3 days, or in the fridge for up to 1 week.